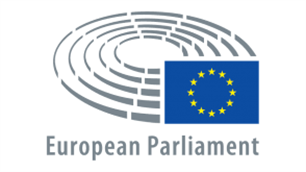 CATCH appreciates a resolution adopted by the European Parliament’s Fisheries Committee (PECH<http://www.europarl.europa.eu/committees/en/pech/home.html>) asking the European Commission for fair management of recreational fisheries. Based on a detailed report (“State of play of recreational fisheries in the European Union”), hinting towards a huge contribution of approximately 10.5 billion EUR annually to the European economy by marine recreational fisheries, the resolution calls for closer investigation in the sector’s catch- and socio-economic data. CATCH welcomes this stimulus towards acknowledging the societal and economic importance of recreational and sustainable fisheries, as it resonates with the project´s ambition to strengthen coastal recreational angling tourism and thereby to sustainably foster the socio-economic potential of maritime communities in the South Baltic Region. We are looking forward to the final adoption by plenary vote in June 2018.